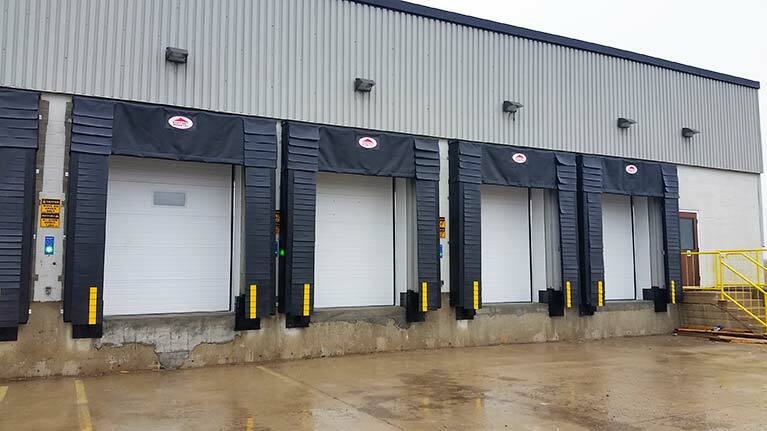 Easy Lift Doors installed these complete dock solutions for a fresh produce facility in Strathroy, including overhead doors, seals, bumpers and dock levelers. The docks are planned with optimal cooling and energy saving in mind, keeping produce fresh. 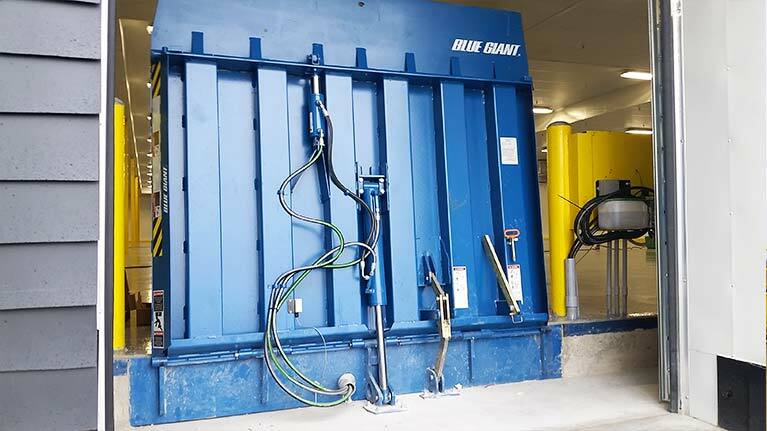 Using vertical dock levelers instead of pit levelers helps preserving the internal temperature of the facility, lowering cooling costs and preventing product spoilage. 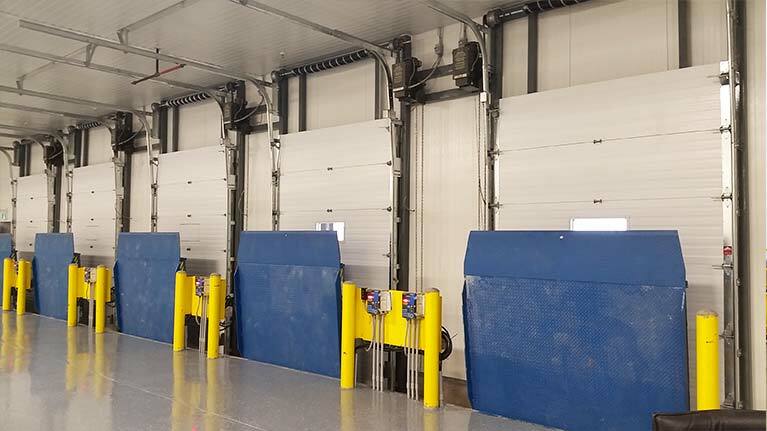 When not in use the vertical dock levelers are stored in upright position allowing the overhead doors to be closed tightly to a concrete floor providing a tight and secure seal. Inquire about different materials, colors, finishes and door designs and get a free quote for your Easy Lift Door. 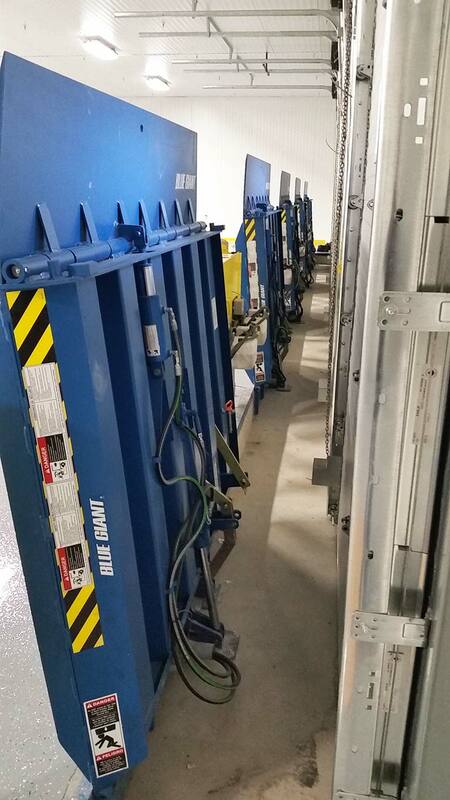 With a highly trained staff and the equipment to do the job safely and efficiently, Easy Lift Doors has been successfully serving (local) industries for over 40 years. Copyright © 2018 Easy Lift Doors Ltd. All rights reserved.